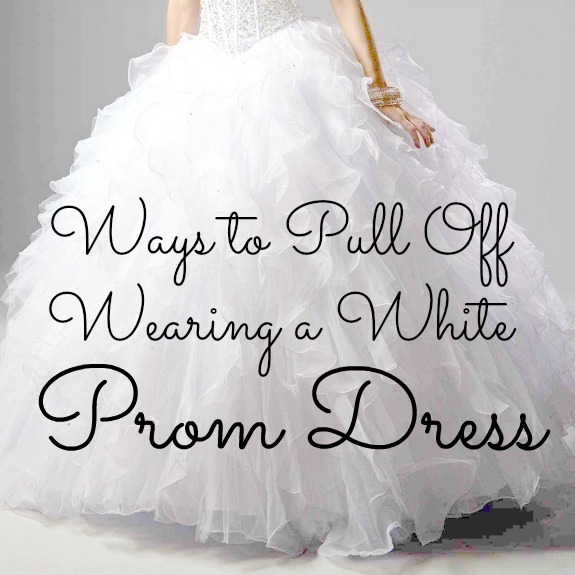 So you want to go white for prom but not sure how to pull it off successfully without looking like a bride about to get hitched?! Well, we have the best way to do it! Following our tips within this article will get you pulling off a white dress at prom like there’s no tomorrow. You will get all the attention whilst looking flawless. 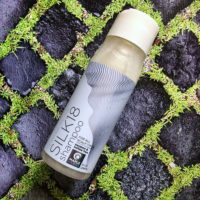 There are risks to wearing a white prom dress, the main thing being potential stains, but putting that aside there can be some huge benefits too. Wearing white can be completely different as a prom dress choice making you stand out instantly whilst remaining sophisticated. With some great associations, the psychology behind the color white for prom gowns works well. If you choose the right store you are bound to find styles that make you fall in love with white prom dresses. Think about gowns with a splash of color: something to help jazz up a completely white dress will definitely give you the extra ‘flauntability’. So try looking for a gown with some sparkles, embellishments or a bit of color are all great ways to bring out the best in the dress. It also helps it look more glamorous and fitting for the prom setting rather than sparking other associations. Picking the right shade: there are different variations of white and choosing the right one will help you rock a white ball gown to prom. This will also depend on your skin tone as some shades will give you more of a glow whereas others will make you look washed out. As you want to avoid the latter, it’s good to familiarize yourself with your skins undertones. It may help to choose a white that has a tint so it’s not completely white. You can go for warmer tones or cooler tones on the white scale but it’s great to know you have options when flaunting your style. Purchase something unique: think two-piece, think sheer panels and other funky elements. You basically want to stay well away from the bridal look so remaining fresh and having edgier parts within your gown will help you look flawless for prom. Jazz it up with accessories: the right accessories can make a huge difference and really bring your white prom gown to life. Keep the necklaces, bracelets and earrings bright and colorful. Avoid sparkly, glamorous pieces as this will really fit more of a wedding style dress. Instead keep things creative to get the most out of your white prom gown. With the right gown, shoes, accessories and the perfect makeup, you can become the Belle of the Ball. Checking out some tutorials for perfecting your hair and make-up is a must to complete your look and ensure you look flawless with your white prom gown. Keeping these four points in mind when choosing your white prom gown will help you to flaunt your dress and look flawless.